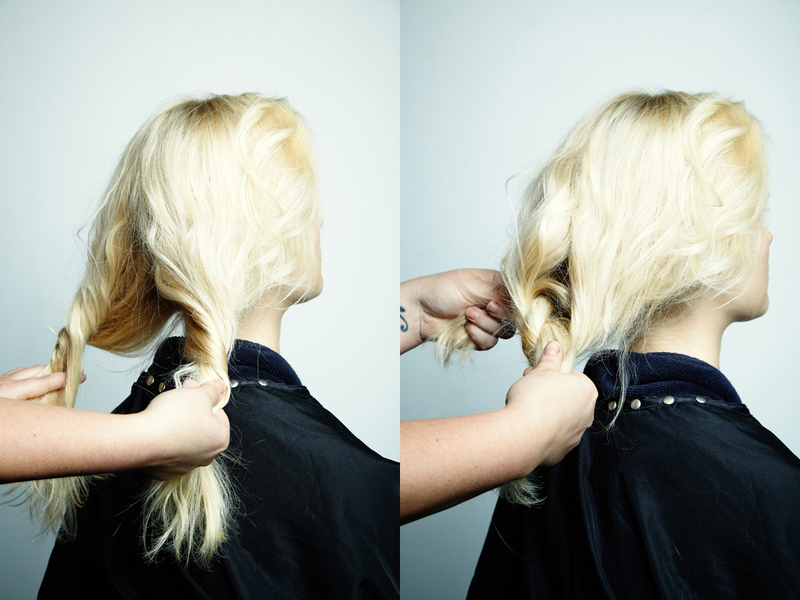 Create a modern textured bun with Ash-Leigh Croker and Hannah Holman. 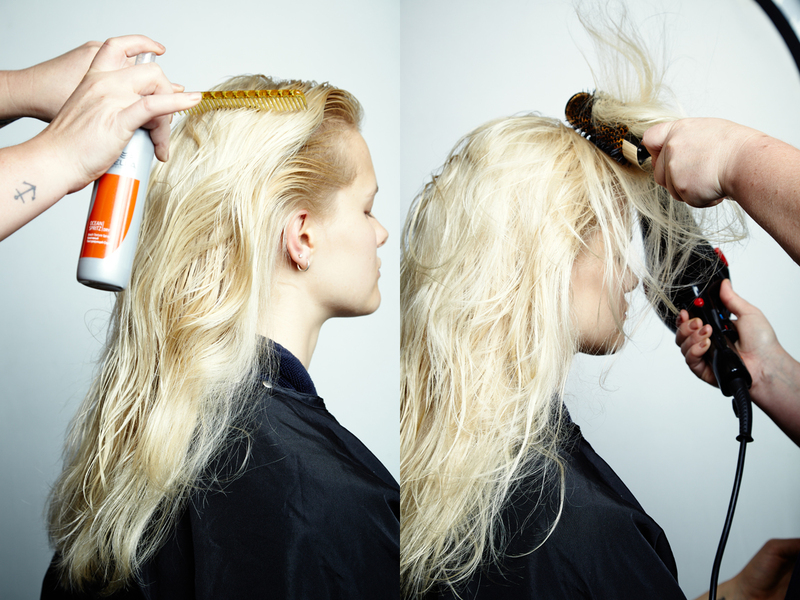 Prep hair with WELLA Ocean Spritz and comb through with a wide tooth comb. Blowdry using fingers to create texture and a round brush on the front hairline. 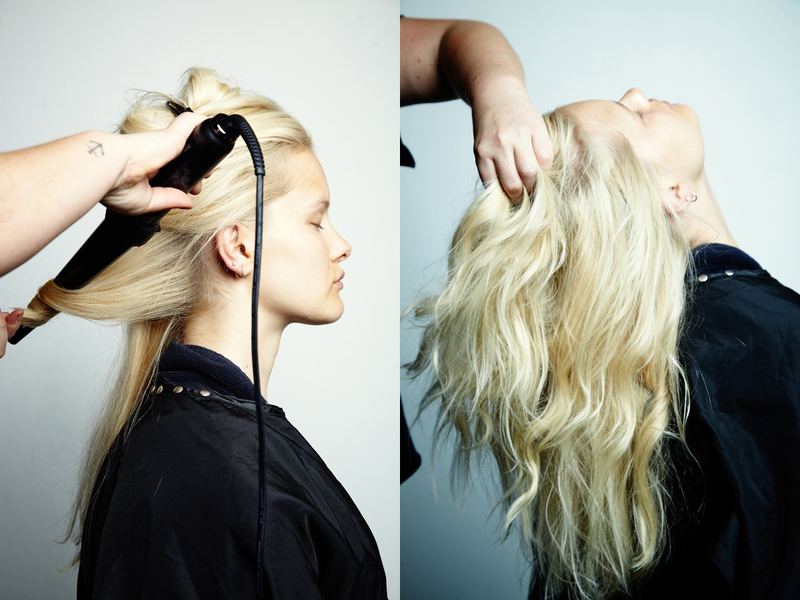 Using a Cloud 9 wand, create bends and movement throughout the hair. Part hair vertically down the middle and section into two twists. Tie both sides into a knot and then a second knot on back on top of the first. Using fringe pins spread the hair into a round shape and pin to secure. Keep it very relaxed, letting any fly-aways fall out. Finish with EVO Haze Styling powder for texture and interest.